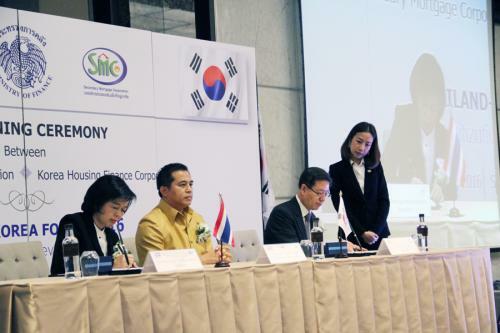 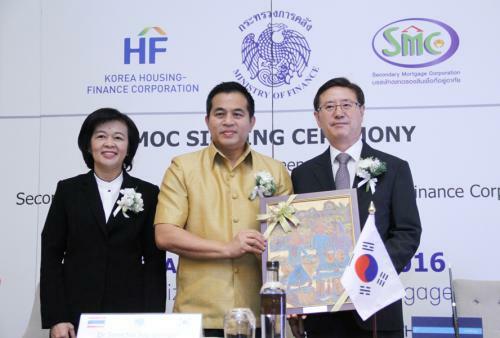 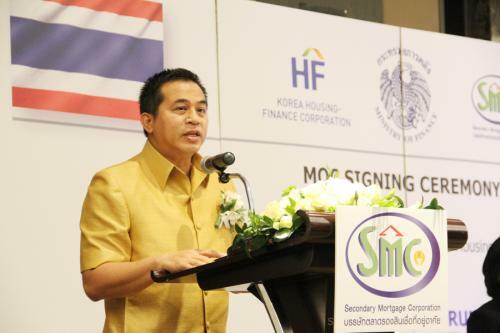 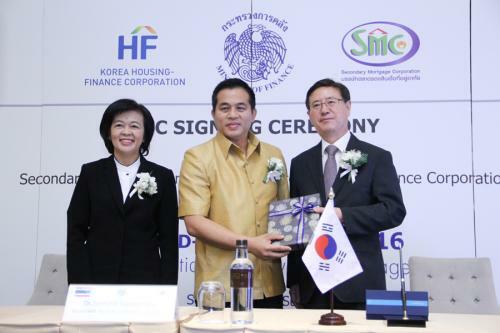 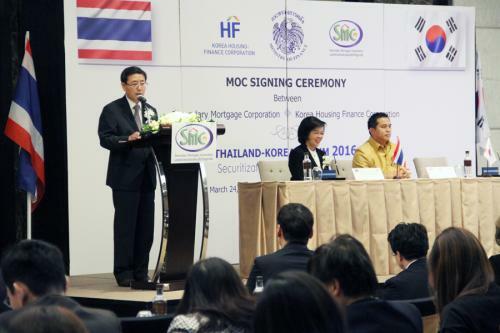 Mr. Somchai Sujjapongse, Permanent Secretary of Ministry of Finance, presided over the signing ceremony of the memorandum of agreement between SMC and KHFC, during the seminar titled ?? 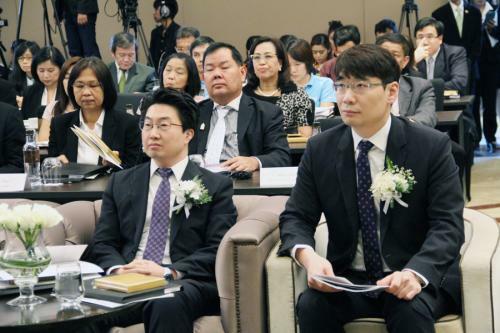 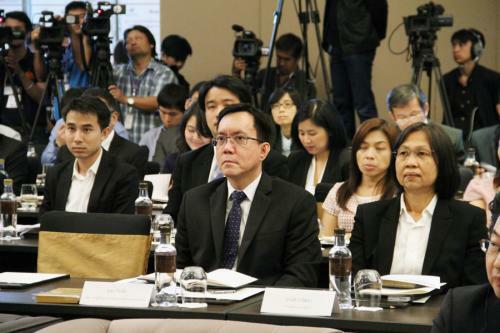 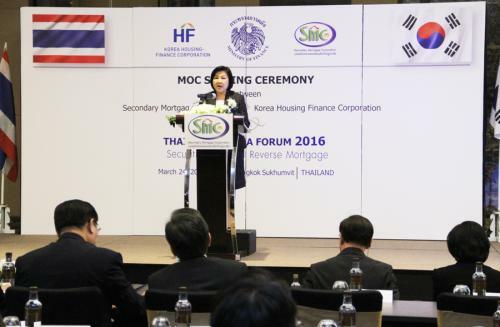 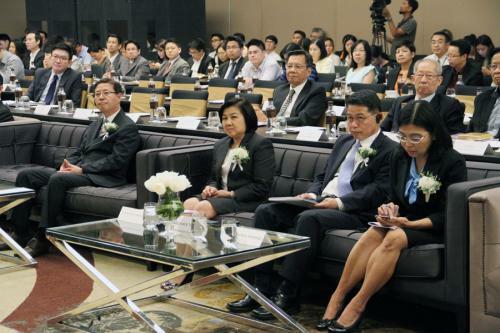 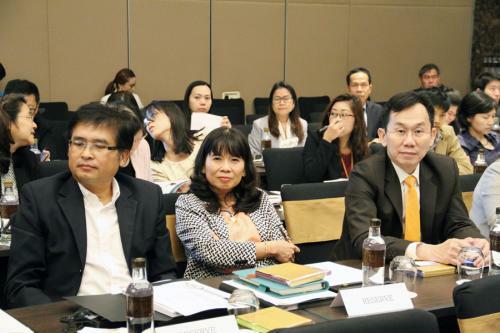 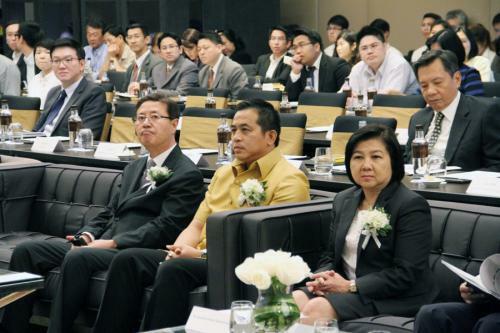 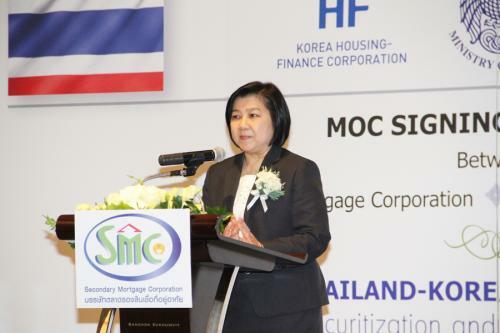 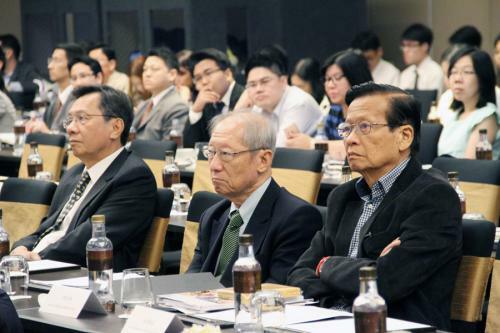 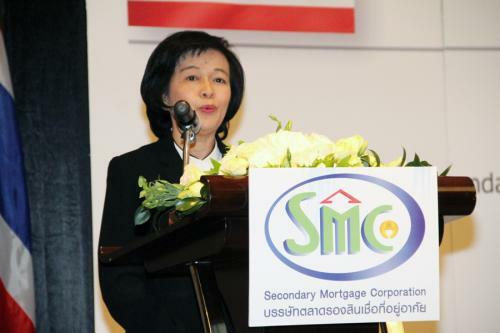 ?Thailand - Korea Forum 2016 : Securitization and Reverse Mortgage? 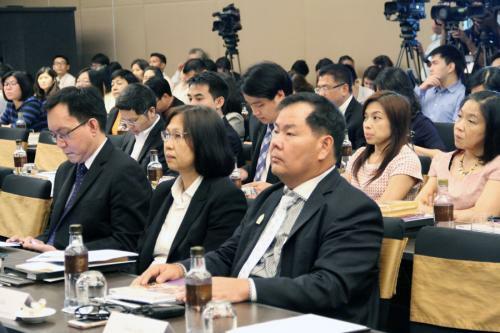 ?�, at Ballroom 1-2, Sofitel Hotel, Bangkok, March 24 2016.